The United States has stepped up its attacks by pilotless drones in Pakistan since a suicide bomber killed seven Central Intelligence Agency (CIA) operatives at a U.S. base in eastern Afghanistan on December 30. The drone strikes are a source of friction between the United States and its ally Pakistan, which says they are a violation of its sovereignty. U.S. officials say the missile strikes are carried out under an agreement with Islamabad that allows Pakistani leaders to decry the attacks in public. Islamabad denies this. The latest drone strike targeted a house in a village in the Datta Khel district, 35 km (20 miles) west of Miranshah, the main town in North Waziristan, a region known as a hotbed of Taliban and al Qaeda militants. “One missile hit a compound and the other hit a vehicle outside it. Six militants were killed”, one of the Pakistani officials said. The death toll had initially been put at three. 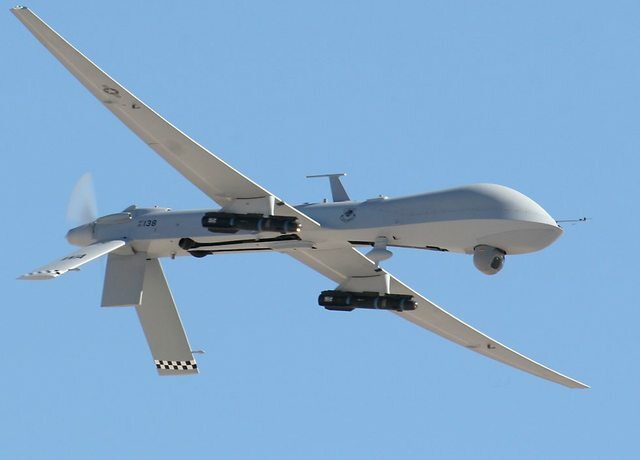 Last Thursday, a U.S. drone targeted Pakistani Taliban leader Hakimullah Mehsud in the South Waziristan region on the Afghan border but it was known if he was among 12 militants killed. The Pakistani Taliban, who are fighting the Islamabad government, later issued an audio tape purportedly from Mehsud, denying he had been killed. Mehsud appeared in a farewell video sitting beside the bomber, a double agent, who killed the seven CIA operatives.